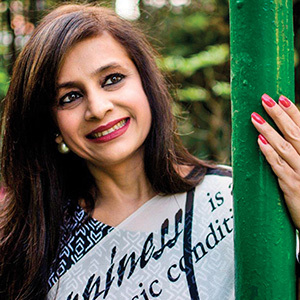 More than a decade ago, Minu Budhia made it her life’s mission to ‘Enable the Able’ in the field of mental health care. Today, Caring Minds, her state-of-the-art centre for psychological growth and well-being in Kolkata, shines as a beacon of hope for many with its commendable efforts to holistically address issues of mental wellness, both clinical and non-clinical, in people of all ages. 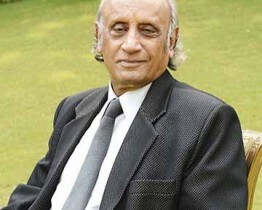 But it is through yet another organisation, ICanFlyy, an institute for individuals with special needs, that Budhia’s dream of doing something path-breaking in the field of mental health finds the strongest voice yet. The first of its kind in Kolkata, ICanFlyy began to grow right from its inception as a unit of Caring Minds in 2015—so much so that it had to move to bigger premises in just two years. Budhia explains why: “The number of students was steadily rising, and we were introducing more and more activities for them. 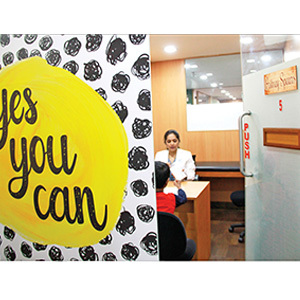 I also wanted to expand the facilities we were offering to create an experience for students that catered to their mind, body and soul.” And with that ICanFlyy moved to its current premises in May 2017—a five-storeyed centre at 4B Valmikee Street, in Kolkata. Just like Caring Minds, ICanFlyy too owes its being to Budhia’s personal experience as the mother of a special-needs child: Her younger daughter, Prachi, was diagnosed with Attention Deficit Hyperactivity Disorder (ADHD), bipolar disorder and low IQ. “As a mother, I was not only concerned about her time at school, but also her future. I wondered what she would do when she grew up and how she would keep herself occupied. And, I realised that like Prachi, other young adults with special needs living in Kolkata too would not have much to do when their schooling ended,” says Budhia. Troubled by this thought, she came up with the idea to empower such special-needs children, teenagers and adults by establishing ICanFlyy—a place where they could be who they were and all that they wanted to be. There is no upper age limit for students at ICanFlyy. “Children between the ages of three and nine join our Twinkling Stars programme; children between the ages of 10 and 14 join our Rising Stars programme; and teenagers who are 15+ join our Superstar programme,” says Budhia. However, because children learn at different rates in a regular classroom, some slower than the others, ICanFlyy offers one-on-one academic assistance to help those with additional learning needs, through its Academic Assistance programme. 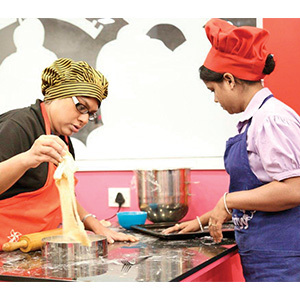 Training modules comprise ‘Bakery Prep and Packaging’ at the Food Factory, where students prepare FSSAI-approved packaged food products; ‘Digital Skills’, which are taught at a computer lab to make students tech-savvy; ‘Data Entry’, which enables students proficient in Microsoft Word and Excel to speedily deliver error-free data in data entry related jobs from corporate houses, small businesses and individuals; and ‘Art and Craft’, where students make bookmarks, gift bags and tags, coasters, etc. A vital part of ICanFlyy is Café ICanFlyy, which is located in the same building as the institute. Comfortable and quirky, it has funky cushions, fun seating, a karaoke corner, a poster wall, a play zone for children and a swing and is run by special-needs young adults who have been trained at ICanFlyy. This ‘nested workplace’ has not only been successful in helping them with meaningful engagement, but also giving them a vocation, which in turn has gone miles in improving their self-worth. At ICanFlyy, each floor is dedicated to a specific skill set and function, along with early intervention and pre-vocational programmes. The bakery on the first floor, for example, is for students to prepare, bake and package foods to be sold through the Food Factory and Cafe ICanFlyy. The third floor, similarly, houses the Frida Kahlo Room, an art and craft studio where knick-knacks like mugs, kettles and storage boxes are hand-painted by students. The fourth floor has the Johnny Bravo Room, a mini gym; the Satyajit Ray Hall, an audio-visual space; the Walt Disney Room, a play therapy zone filled with toys; and a make-up and grooming room. 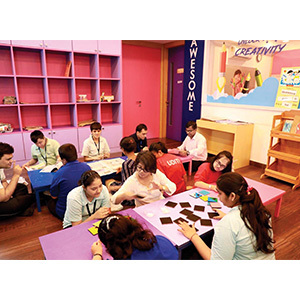 Apart from the classrooms, there are life skills’ rooms that focus on everyday skill-building activities. There is also a dedicated room with a fridge, microwave and cooking tools to help students learn dining etiquette and how to set a table and prepare foods and drinks. Further, there is a Digital Studio, a space where students learn to make the most of digital devices. To address any immediate health issues that may arise, there is a mini infirmary on the fifth floor, with a bed and a first-aid kit. The sprawling, covered terrace is ideal for playing badminton, basketball, kick-boxing and other games. It also features a sand pit and a trampoline for younger students. ICanFlyy has come a long way when it comes to giving its students the freedom to express themselves and sends a message to society that the students need to be respected for who they are and what they can do. Budhia considers this growing social awareness about special-needs individuals to be one of ICanFlyy’s biggest achievements. Participating in various events has in particular helped ICanFlyy achieve this goal. ICanFlyy’s students have successfully pulled off two annual concerts and have been invited to perform at prestigious events. Additionally, in July this year, students organised their first exhibition at the institute. “Exhibitors from across Kolkata participated in this special lifestyle exhibition. Students, who had been assigned duties like arranging the exhibition decor and manning the reception and help desks, as per their capabilities and trained accordingly for over a month, were excited to welcome guests. 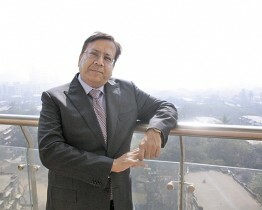 The response from exhibitors and visitors was excellent,” says Budhia excitedly. Considering the enormous impact that Budhia’s efforts have made in an area that most others tend to hide, we cannot help but agree with her.